Reset your Dials – the Middle East in your wildest dreams! Imagine a Middle East where a democratic secular republic of Iran cooperated with America to solve the problems in Afghanistan and Iraq; where Israel and Palestine resolved to accept each other’s existence and agreed on territorial boundaries; where Saudi Arabian rulers worked out a way to govern their people and relate to the outside world without the support of the US arms industry. You may say I’m a dreamer – but I’m not the only one. Stephen Kinzer, author, academic and sometime foreign correspondent with the New York Timesand the Boston Globe is with me on this – or rather, I’m with him. 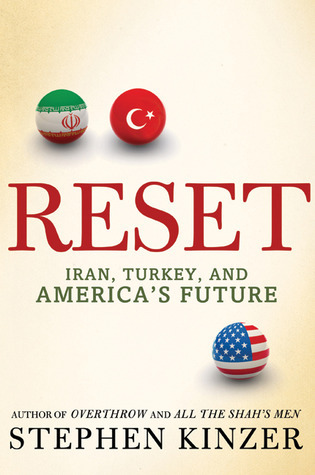 Kinzer’s recent publication ‘Reset’ proposes these and other fabulous possibilities in an impressively researched, cogently argued, extremely readable book subtitled ‘Iran, Turkey and America’s Future’. The essence of Kinzer’s thesis is that, for various historical reasons, the United States is locked into two relationships in the Middle East whose continued relevance is at best questionable, and which are poisoning the diplomatic climate in the region, rendering futile all attempts to achieve long term peace and stability. He argues that America’s continued support for the dysfunctional Saudi royalty, and its commitment to backing the Israelis, right or wrong, have in fact helped to create the world-wide axis of evil and terror it so wants to destroy, and actively worked against all moves to pacify and democratize the region. Kinzer goes on to propose that the best and most logical allies for the United States in those troubled lands are Turkey and, in defiance of current logic, Iran. ‘The old triangle – actually two bilateral relationships, the United States with Israel and the United States with Saudi Arabia – served Washington’s interests during the Cold War. It has not, however, produced a stable Middle East. On the contrary, the region is torn by violence, terror, hatred and war. Yet, for economic as well as strategic reasons, the United States must remain engaged there. Its dilemma can be simply stated: America wants to stabilize the Middle East, but its policies are having the opposite effect. What new policies could America adopt to replace those that have failed? One factor often lacking in discussions about the problems associated with radical Islam is perspective. In order to move on from the seeming impasse in which we find ourselves, there is a need for some historical context and a sense of where we actually want to be, eventually. This perspective is what Stephen Kinzer provides in an accessibly slim volume of 227 pages (excluding notes, bibliography and index). The book’s first chapter looks at Iran (or Persia) in the early years of the 20th century. According to Kinzer, the country was taking its first steps to becoming a constitutional monarchy with a representative parliament. Why this did not eventuate he attributes to the interference of, first Russia, and later, Great Britain, inspired by our old friend Winston Churchill. And not coincidentally, to the fact that Iran was ‘sitting atop an ocean of oil.’ So, first Russia stepped in, in 1911, to dissolve the popularly elected parliament. After their own revolution, when Russians became more concerned with their internal problems, it was the British, thirsty for that liquid gold, who engineered a coup resulting in the installing of a puppet prime minister, later to become Shah Reza Pahlavi. In the aftermath of the Second World War, it was the turn of America to instigate an upheaval which ousted the democratically chosen government of Mohammed Mossadegh and installed Shah Reza’s son on the throne. Twenty-five years of increasingly repressive rule by this pseudo-royalty sowed the seeds of extremist revolution, the fertilizer provided by a US whose economy required oil in vast quantities, and customers for its arms industry. The 1979 hostage crisis that terminated the employment of President Jimmy Carter, and brought to power the Muslim cleric, Ayatollah Khomeini, was, in Kinzer’s view, a predictable outcome of continued foreign interference in Iranian/Persian affairs. Turkey’s comparative advantage was, perhaps ironically, its lack of oil. When nationalists reacted against the threat of post-World War One partition, ousted the victorious allies and their lackey Greek invaders, overthrew the puppet government of the last Ottoman sultan and established the modern secular Republic of Turkey in 1923, the European powers were embarrassed and somewhat put out, but not inclined to force the issue merely to save face. 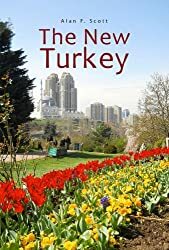 Perhaps the most interesting pages of Kinzer’s chapters on Turkey are those where he analyses the achievements of the current AK Party government of Recep Tayyip Erdoğan. Having made a case for the adoption of Turkey and Iran as its new partners in the Middle East, Kinzer then turns to the matter of why the US should revisit and revise its historically-rooted and anachronistic relationships with Israel and Saudi Arabia. Somewhat fortunately for the credibility of his case in this area, the author appears to have impeccable Jewish credentials, dedicating the book to his grandparents who, we are informed, ended their days in 1945 amidst the horrors of the Bergen-Belsen concentration camp. He traces the origin of the modern state of Israel to the intercession of Harry Truman’s army buddy and best friend Eddie Jacobson, who apparently successfully twanged the Presidential heartstrings to gain his indispensable support for the project. It was Truman’s predecessor, Franklin D Roosevelt who initiated the US’s special relationship with the Saudi royal family. In another touch of irony, the Saudis were totally opposed to the foundation of an Israeli state in Palestine – but American pragmatism carried the day, establishing friendships with two implacably opposed foes. These friendships were of particular benefit to the US during the Cold War years, with the Sauds providing unlimited funding and the Israelis their talents in covert operations, to implement strategic policies in far-flung parts of the world requiring action without too obvious direct American involvement. My advice to you? Buy this book and read it! This entry was posted in Iran, Israel, Middle East, Recep Tayyip Erdoğan, Saudi Arabia, Turkish Republic, USA, Winston Churchill. Bookmark the permalink. Thank you for this very informative review — really enjoyed it!